This page is rather outdated, but I'll leave it for posterity's sake. Click here and here for more recent pictures of my workspace. 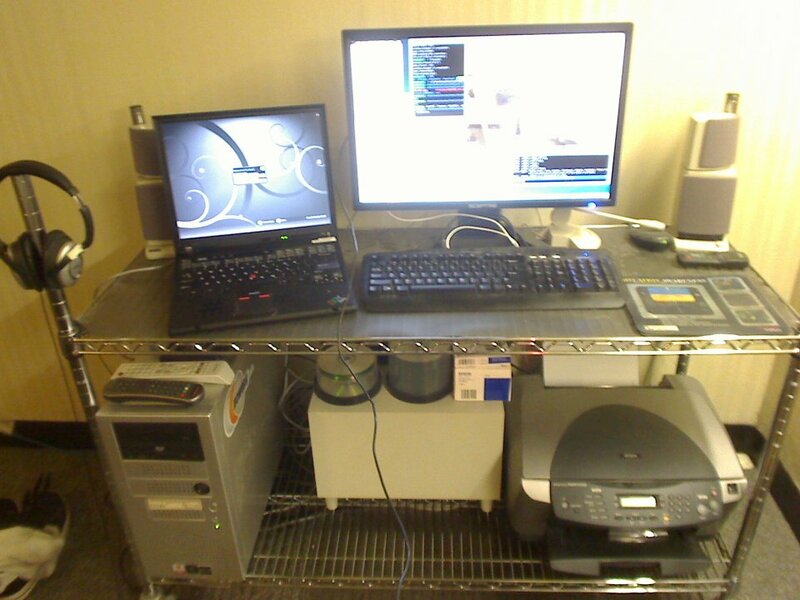 Here's my workstation, with my custom built desktop and docked IBM ThinkPad T43 laptop. And here is the backend of my operation. On the left is my MythTV DVR (3 tv tuners!). 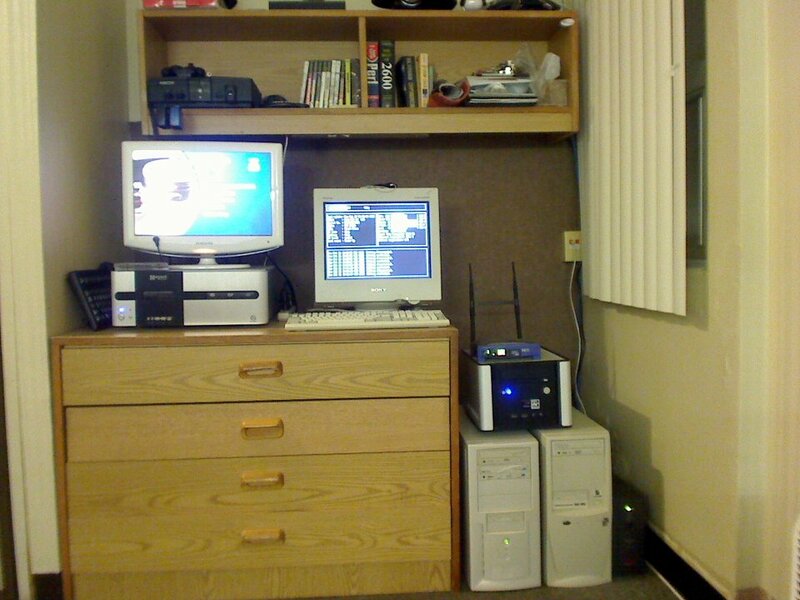 On the right, the box on top is my server. Underneath, on the left is my intrusion detection system and on the right is my firewall.